10th OCTOBER 2014. SAN FRANCISCO & MADRID.- Fon, the global Wi-Fi network, has been named the winner of the ‘Best Wi-Fi Service Innovation’ of the WBA Wi-Fi Industry Awards 2014 for its latest innovation – the Gramofon. The company received the award at the Wi-Fi Global Congress in San Francisco last night. The awards recognize Wi-Fi innovations by operators, vendors, device manufacturers and new ventures within the industry. The innovative-awarded device, Gramofon, streams cloud music to any sound system using smartphones and tablets as the remotes. The Gramofon works with Wi-Fi so it does not depend on Bluetooth. Therefore, the battery consumption is lower on the smartphone, there are no interruptions when a call comes in, no range limitations, and it has better audio quality. Fon has partnered with key music services like Spotify and WahWah to create a seamless user experience. Additionally, Gramofon’s integration with Qualcomm’s AllPlay technology will allow synchronized playback across multiple rooms. “The Gramofon service from Fon was chosen as the winner because it builds on a genuinely innovative Wi-Fi business model which has been pioneered by Fon’s community Wi-Fi. The Gramofon extends a successful model beyond simple access, and into new revenue streams. It integrates music and media experiences more deeply into Wi-Fi everywhere, which can support additional new services which in turn provides high levels of ease of use and flexibility for the consumer,” said Caroline Gabriel, Lead Judge for the Best Wi-Fi Service Innovation Award. “We are very grateful for this award. It is rewarding to see that our commitment to innovation, research and development has been recognised. As leaders in the industry, we are always looking for innovative ways to add value and deliver better services through Wi-Fi and we will continue to do so in the future”, said Enrique Farfán, Fon CTO.  As consolidated experts on Community Wi-Fi, Fon was also certified as a “Premier” participant, the highest level of the Wireless Broadband Alliance (WBA) Interoperability Compliance Program (ICP) thanks to its cutting-edge technical and commercial features for Wi-Fi roaming. This program covers aspects like Next Generation Hotspot, network interconnection, data offload, device authentication, network implementation and selection, charging models, billing mechanisms and security. In addition to Fon, only three other Wi-Fi operators currently hold this level of certification. Fon is the first European operator to obtain it. Founded in 2003, the aim of the Wireless Broadband Alliance (WBA) is to secure an outstanding user experience through the global deployment of next generation Wi-Fi. In order to make this a reality, the WBA is currently championing various initiatives in the Wi-Fi ecosystem including Next Generation Hotspot (NGH) trials, Wi-Fi Roaming and its Interoperability Compliance Program (ICP). Today, membership includes major fixed operators such as BT, Comcast and Time Warner Cable; seven of the top 10 mobile operator groups (by revenue) and leading technology companies such as Cisco, Google and Intel. WBA member operators collectively serve more than 1 billion subscribers and operate more than 10 million hotspots globally. The WBA Board includes Arqiva, AT&T, Boingo Wireless, BT, Cisco Systems, Comcast, iPass, KT Corporation, NTT DOCOMO, Orange and Ruckus Wireless.